Apr. 12 (NBD) -- The Guangdong-Hong Kong-Macao Greater Bay Area (GBA) has become a rising destination for talent inflow, a report showed. The GBA currently logs a net talent inflow rate of 1.39 percent, according to a survey released by recruitment website Zhaopin.com. "I'm not surprised by the figure of 1.39 percent," Wang Yunxing, head of the China Development Institute, said to the 21st Century Business Herald. Wang compared the GBA now to Shenzhen at the time when China initiated reform and opening-up, adding that the GBA will definitely witness a wave of talents into its arms. China this February unveiled a development blueprint for the GBA, aiming to turn the region into a world-class city cluster and a powerful engine for reform and opening-up. In Wang's views, it is the economic vigor and favorable human resources policies that make the GBA a talent magnet. The report indicated that talents aged between 21-40 takes up 83 percent of the total influx. Wang attributed the high proportion of young adults who come to the GBA for job opportunities to the area's prosperous development of strategic emerging industries, which is absolutely a big attraction for innovative talents. The 21st Century Business Herald also noticed that new workforce entering the real estate/building materials/engineering construction industries took the biggest share, accounting for 21.46 percent of the total influx, well above a 5.38 percent for the electronic business sector and a 4.71 percent for the processing and manufacturing industry. The root cause lies the fact that the Greater Bay Area stands at the stage of enhancing connectivity of infrastructure, said Hu Gang, professor at Ji'nan University. Li Qiang, executive vice-president of Zhaopin.com, analyzed that talent policies in a city holds the key to its workforce inflows. The cities in the GBA, without exception, have addressed migrants' needs in residency, housing, starting a business, education for children and other concerns, according to Li. 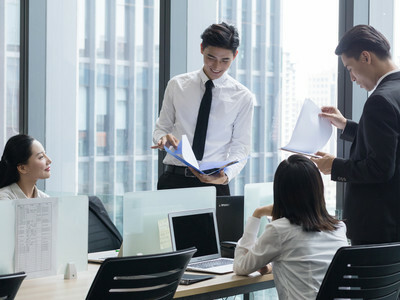 Hu gave certain credit to human resources policies of the local government to draw talents, but underscored the importance of the market factor. "To get employed comes first, after all." Wang echoed Hu's view, noting that to sustain as a talent magnet, the Greater Bay Area needs a market-oriented and government-guided mechanism.